The police recovered the body of a college girl from inside a waterbody in the district's Maijdi on Thursday, four days after she went missing. 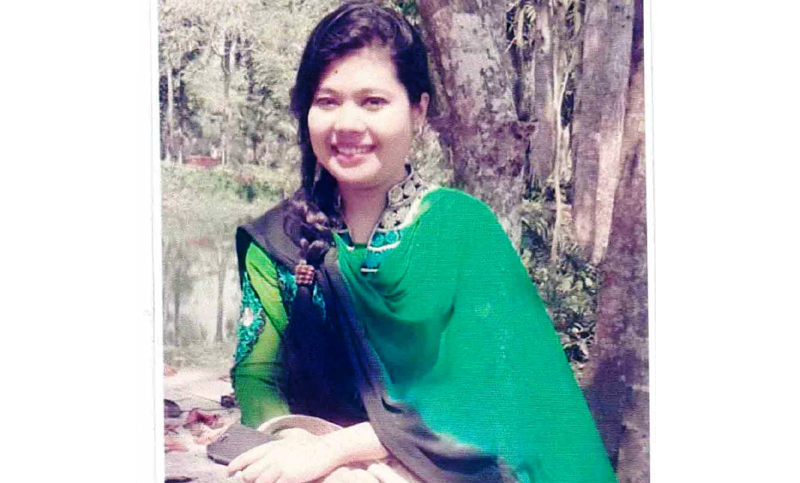 The deceased is Tabassum Tania Chamak, 22, daughter of Enamul Haque, of Joykrishnapur area and also an honours third-year student in Sonapur College. Confirming the news, Sudharam Police Station OC Anwar Hossain said: "The locals have spotted the body in a water body near the house of the victim. Being informed, police recovered it and sent it to the hospital for autopsy." "The police have also picked up Tania's friend Taposh for quizzing," he added. According to Tania's father, she went missing on Sunday. Confirming the news, Sudharam Police Station OC Anwar Hossain said: "The locals have spotted the body in a water body near the house of the victim. Being informed, police recovered it and sent it to the hospital for autopsy."